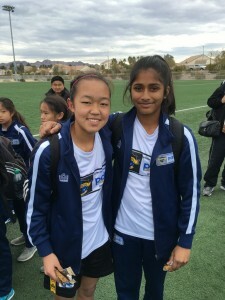 Manuri Alwis and Kellie Pagador of the Placer United U13 ’03 Gold team traveled and competed at the Vegas Cup this past weekend with the NorCal PDP 02 State Team. 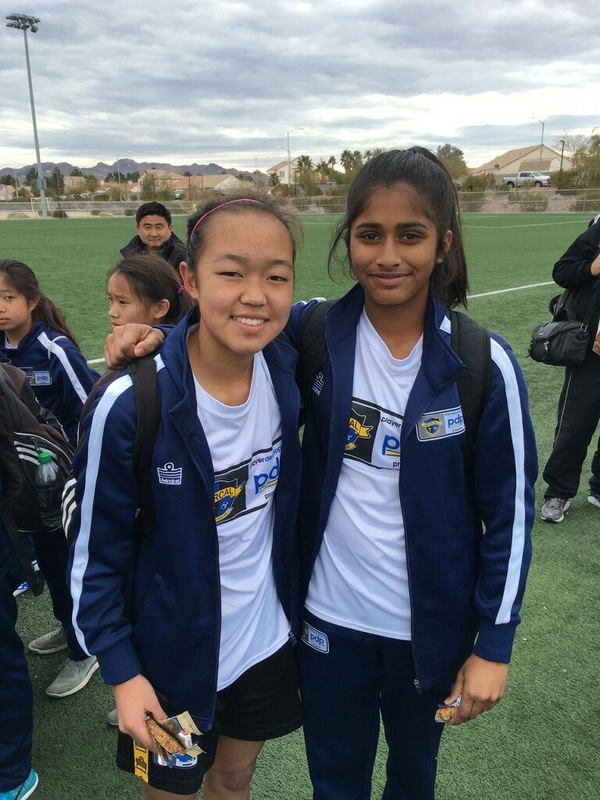 Alwis and Pagador were two of the eighteen players chosen to play for the NorCal PDP 02’s. NorCal entered the team into the older age group of the tournament and the group had a great run. The team beat FC Warriors from Nevada 7-0 and followed that up with a 2-2 draw with LaRoca Premier out of Utah. In game 3, they had a favorable 3-2 result over Andromeda FC out of Texas. The win put the group into the quarter-finals against AZ Arsenal Teal from Arizona and they triumphed with a 5-0 victory. In the semi’s, the PDP squad fell short against Lake Forest Select out of Illinois, 2-1. Congrats on a great weekend girls! Go Placer!